Sam was a rock climber well before becoming an apple orchardist. He grew up in Tasmania but often visited the Blue Mountains region for climbing excursions. In the course of his trips to the mountains, Sam fell in love with the Logan Brae Orchards property, well before he knew that it was up for sale. After finding out that is was, Sam knocked on Graham Jackson’s door and the two of them got chatting. 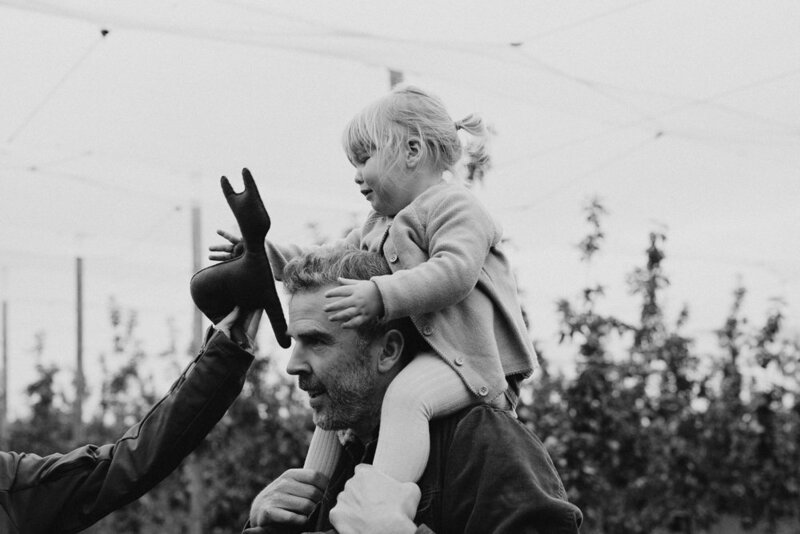 Not long after their introduction, Sam bought Logan Brae Orchards from the Jackson’s, the family that owned the orchard since its foundation in 1919. The friendship and correspondence between Sam and Graham still stands steadfastly strong today. The Jackson family initially opened up the land to the public with stands of loganberries and clotted cream, hot scones, and loganberry jam for all to enjoy. It was the plump berries in combination with the pleasant hillside land, or “brae”, overlooking the valley below that inspired the suitable name for the property: Logan Brae. 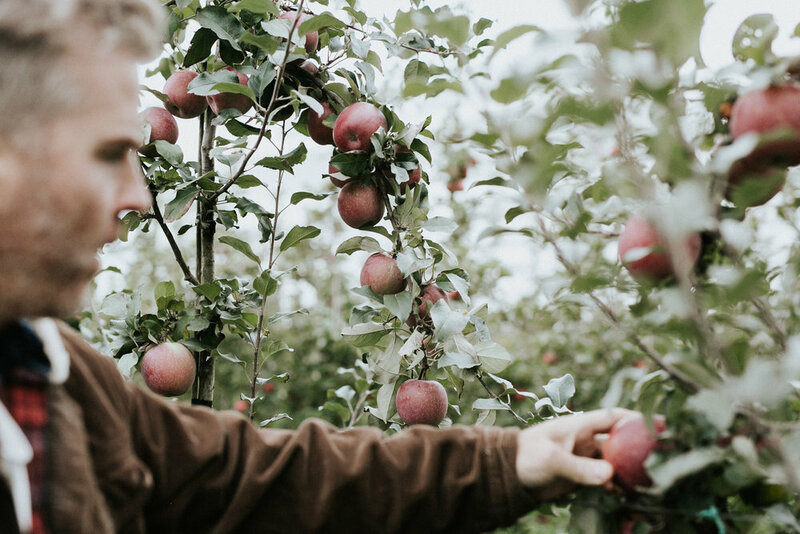 Little by little, Mr Walter Jackson and his son, Graham, began planting apple trees on the land until it turned into a fully functioning apple orchard. This year, Logan Brae Orchards celebrates its 100 years of existence, having been established in 1919. 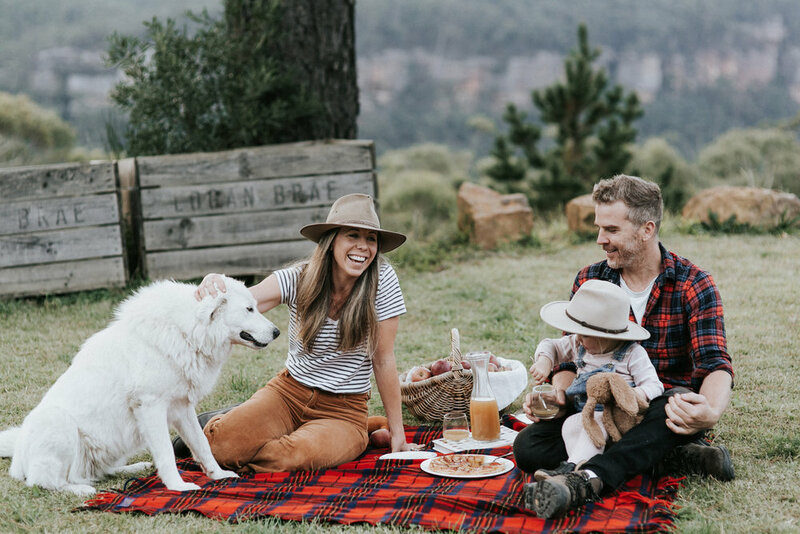 Run by Sam, Asia, their daughter, and their lovable dog, Lottie, Logan Brae is the only remaining apple orchard on the Shipley Plateau, which was previously scattered with fruit-bearing orchards of the like in the early 20th century. 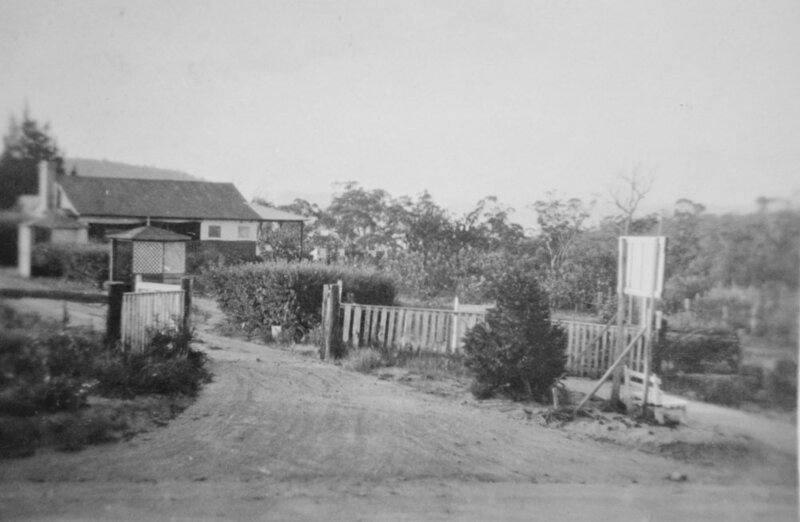 Logan Brae is a sweet reminder of how fruit used to be grown on the Shipley Plateau. Sam has carefully cultivated the orchard land to where he now has 6,000 apple trees spread between two main orchard blocks. Sam and Asia offer a variety of products in their shop to enjoy while taking a seat on the lookout point and enjoying the spectacular views of the Blue Mountains escarpments. From homemade apple pies to creamy apple butter, or from hot spiced apple cider to a good ‘ole box of the orchard’s best apples, we hope you leave Logan Brae full of treats, full of joy, and full of new apple recipes to share with those who couldn’t make the trip. We hope you enjoy the charming views and the scrumptious apples that Logan Brae Orchards has been evolving for 100 years in the making.